A beach park designed with kids in mind. As if Victoria didn't already have a wealth of kids playgrounds, Cadboro Gyro Park raises the bar yet again in terms of its design. The play area for children is what we all hoped our local playground would be like when we were growing up. Dotted around are fun statues and obstacles for kids of all ages to clamber over and around. The sheer creativity of some of the installations serves to propel youngster's imaginations into the stratosphere. 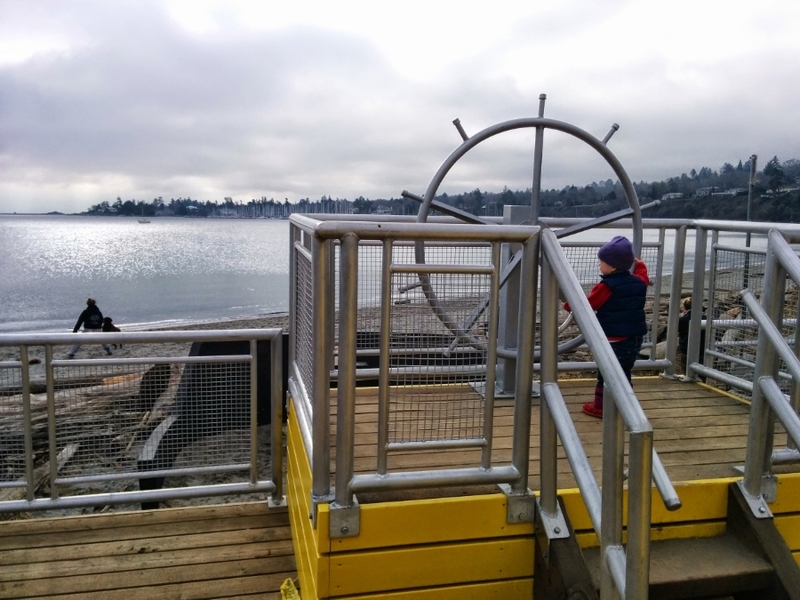 With such a fun environment, it's easy to forget that the park capitalizes on its location with awesome ocean views in a beautiful neighbourhood. Again the beach is devoid of crowds most of the year so you never feel like you're harassed and packed together with other visitors.